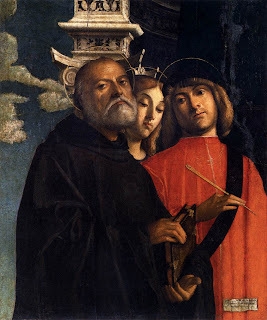 The saints I have so far discussed are all historic figures in Christian history. They were important figures the missionaries were well aware of, with names that were used due to their recognizable nature on behalf of other missionaries, church members and well read Christians. But how about more recent figures in history worthy of recognition whose lives may be comparable with Brother John’s? John’s story reminds us of one other path to Sainthood which recently received recognition for events that took place during the late 19th century–the life of Father Damien. By no means is this a direct comparison between the Father Damien and Tschoop. Tschoop or Brother John was Native American, Father Damien was Belgian. Brother John learned about Christianity during his mid-age, Father Damien became fully dedicated to Christianity during his childhood years. Still, what the two of these individuals had in common was their reluctance to allow the fear of disease stop them from reaching their spiritual goals. Father Damien chose a route in missionary life that he knew would become a test of his faith and his self-defined purpose in life. For Brother John, the possibility of catching a deadlydisease like measles or small pox was not of concern, his physical health status already an indicator of his commitment to this new profession. Both Brother John’ s and Father Damien’s personal needs and goals were to simply to serve, using personal experience as an example, and to maintain peace between Native groups for Tschoop, between Natives and colonists for Tschoop and Father Damien. What created the inspiration for Father Damien, originally named Jozef (“Jef”) De Veuster, to become who he was? More than likely it was the spark of inspiration that led Jozef (“Jef”) De Veuster to become a missionary to also select Saint Peter Damien as his new name. Saint Peter Damien’s life’s history had its parallels with that of Jef’s life, and as Jef became more set in his career as a priest, these parallels only seemed to become more indisputable. A major difference between St. Peter Damien and Jef was Peter’ s academic history. Peter Damien was not only a student learned in various specialties, but also a teacher. This sometimes has the advantage of increasing one’s desire to modify his or her behaviors to make upfor losses in one area, by bettering them in the next. For Jef, these areas he had work harder in included Peter’s success in building a monastery, a library and a series of homes for use as hermitages. Once he began his mission,, Father Damien worked to build a place of prayer and worship for his people, and laid out plans to fulfill the need for new homes by his people, helping thm to establish whatever facilities they needed to stabilize the social unrest already present in the immediate region, and to assist the sisters in their efforts to improve this program. Two other parallels between Peter and Jef pertain to their personal living habits. Peter Damien often stressed his body. By replacing sleep with prayer during his years of life, and living often in solitude as a monk, he placed a certain amountof physical stress upon his body. Just how much this stress impacted his successs seems minimal in the long run, an outcome that was perhaps most inspiring to Jef or Father Damien. We see his when we review Father Damien’s choices made when he decided to serve the missions at Moloka’i to the fullest extent possible after just few days of being there. That which in biological terms was decision made most certainlyas a result of passions felt during the initial days of this experience, could only be supported by a more gloal sense of devotion arising during the months ahead. Both he and the archbishop knew his when he made his first journey ot the Islands. Like St. Peter Damien in the monastery, Father Damien determined the way to isolate himself from the rest of the world as he became a part of thi community, serving more than 800 lepers then occupying this region. Peter Damian grew up to become a teacher and, later, became a Benedictine monk. He was always very devout and passionate about prayer, fasting, sacrifices and caring for the poor. He regularly welcomed poor people to eat with him. He spent so much time in prayer and reading Scripture that he developed insomnia. He had to learn to use his time more wisely, so that he could have the time he wanted for prayer and still get enough sleep to maintain his health. Though never officially canonized, Peter Damian is a Doctor of the Church, a title granted to him in part because of his efforts to reform the Church from within and to encourage the practice of prayer and study of Scripture. He was a prolific writer, a man of great influence in his world, and yet also a humble monk in spirit, retreating to the monastery whenever possible to live his preferred life of simplicity and prayer. in calling himself Father Damien while working in Moloka’i. 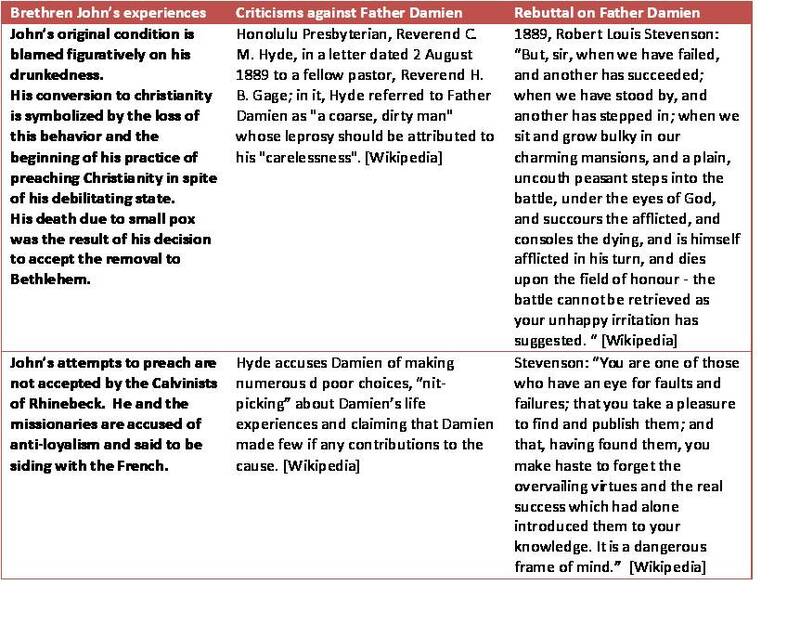 It is these parallels that Jef had with Peter Damien that demonstrate to us some of the most important features of those who serve a higher cause and ultimately, God willing, achieve sainthood. 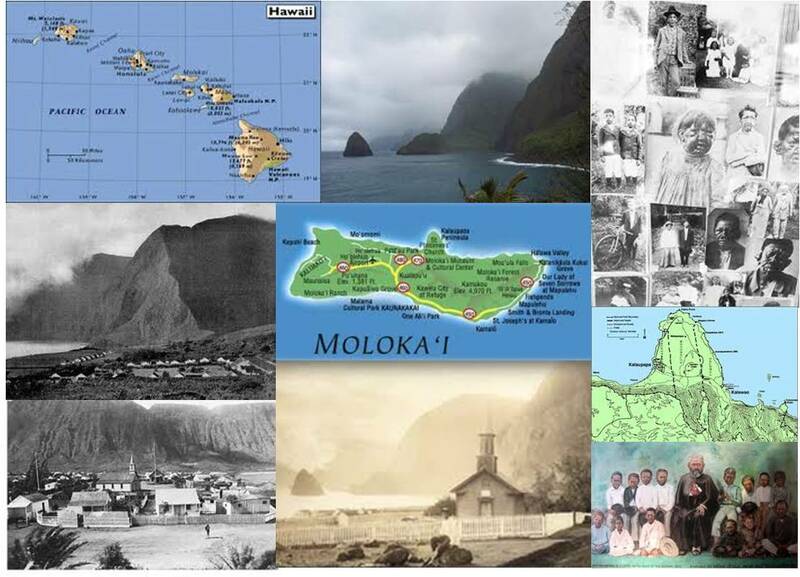 Around the time Father Damien began to reside with his followers on the island of Molokai in the Sandwich Islands (now Hawai’i), along the north shore in a hamlet known as Kalaupapa. In December 1884 while preparing to bathe, Damien put his foot into scalding water, causing his skin to blister. He felt nothing. He had contracted leprosy. Despite this discovery, residents say that Damien worked vigorously to build as many homes as he could and planned for the continuation of the programs he created after he was gone. Masanao Goto, a Japanese leprologist, came to Honolulu in 1885 and treated Father Damien. It was his theory that leprosy was caused by a diminution of the blood, and his treatment consisted of nourishing food, moderate exercise, frequent friction to the benumbed parts, special ointments and medical baths. The treatments did, indeed, relieve some of the symptoms and were very popular with the Hawaiian patients. Father Damien had faith in the treatments and stated that he wished to be treated by no one but Dr. Masanao Goto. Dr. Goto was one of his best friends and Damien’s last trip to Honolulu on July 10, 1886, was made to receive treatment from him. In his last years Damien engaged in a flurry of activity. While continuing his charitable ministrations, he hastened to complete his many building projects, enlarge his orphanages, and organize his work. Help came from four strangers who came to Kalaupapa to help the ailing missionary: a priest, a soldier, a male nurse, and a nun. He was probably much younger than Tschoop was when Tschoop was converted to Brother John by Christian Rauch. During a peak period in one’s life, such a decision has obvious potential for consequences without any need for further elaboration. Tschoop had already made it into his prime years, at a time and in a place where living for more than several decades was no easy task. Father Damien chose a route that essentially cut his life span in half.